Expired 3d ago . Last validated 2wk ago . Used 38 times. Rosherr Promo for any order of $50 or more. 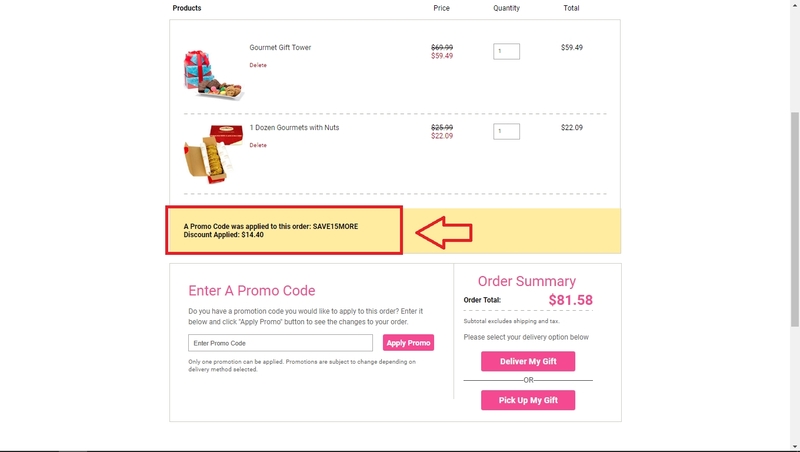 Excludes sales items, gluten free cookies, photo cookie gifts, tax, and delivery. Some restrictions apply. NESTOR NUÑEZ I am validating that this deal works as described. 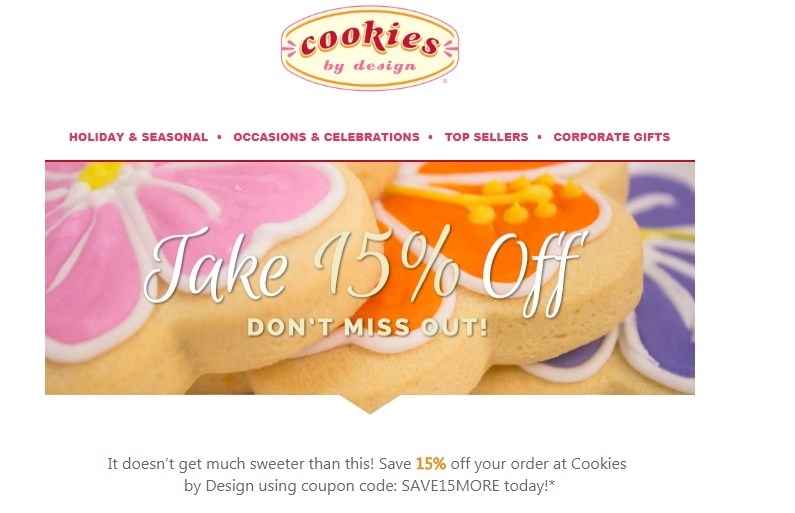 Just enter the code at checkout to get 15% Off Your Next Purchase at Cookies by Design (Site-wide). 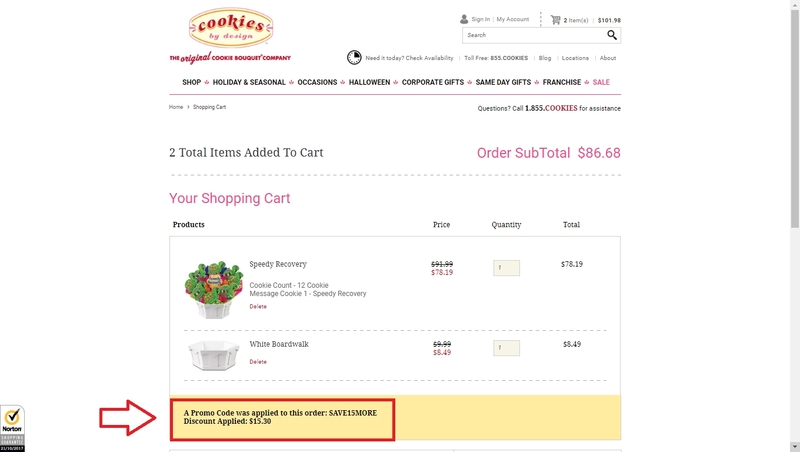 weslyngson macias This coupon is valid and working as described. 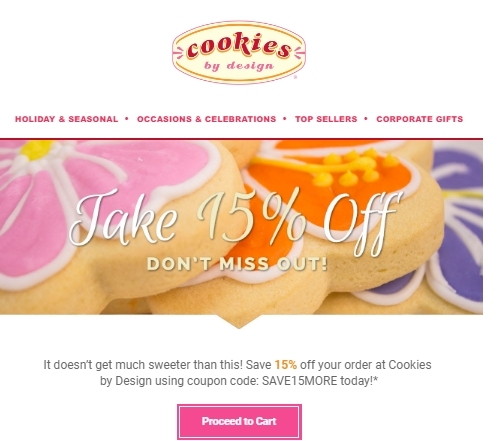 Select your product, go to the shopping cart, enter the promotional code and save 15% Off Your Next Purchase at Cookies by Design. Miguel Mendoza I am re-activiting this expired deal. I will update it and validate that it works. 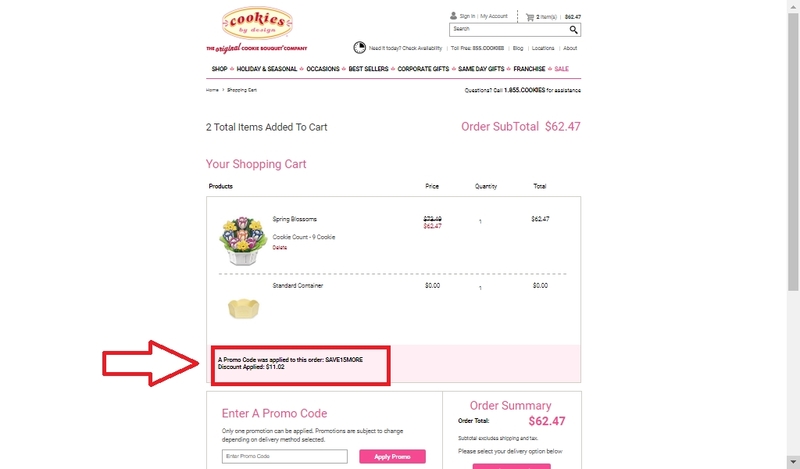 For redeeming this offer, Add products to your cart and paste the code at checkout to save 15% off your next purchase at Cookies by Design. Dave Hosk This deal works as described. This offer is still valid. 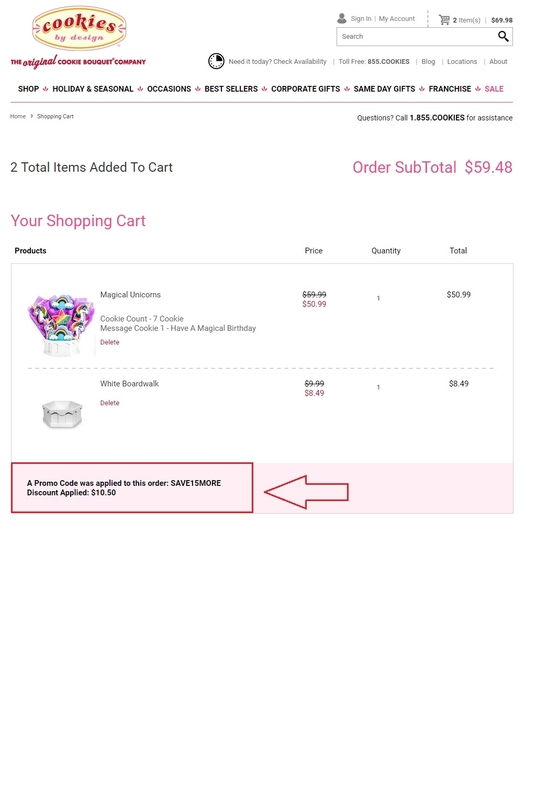 It works perfectly, the promo code works very well. 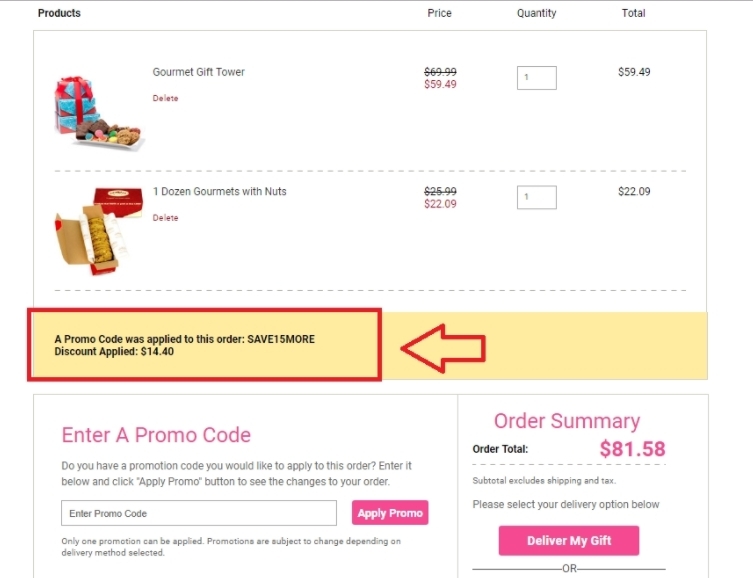 Andrelys de Piña I am re-activiting this expired deal. I will update it and validate that it works. 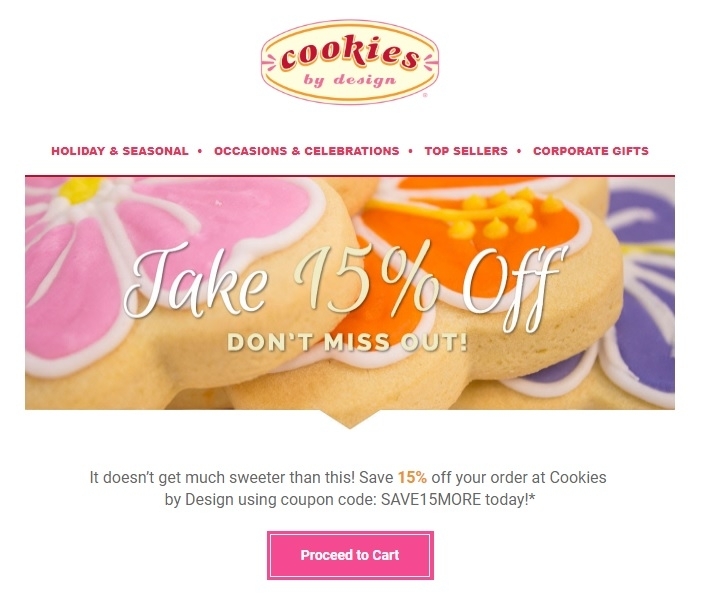 For redeeming this offer, Add products to your cart and paste the code at checkout to save 15% off your next purchase at Cookies by Design. 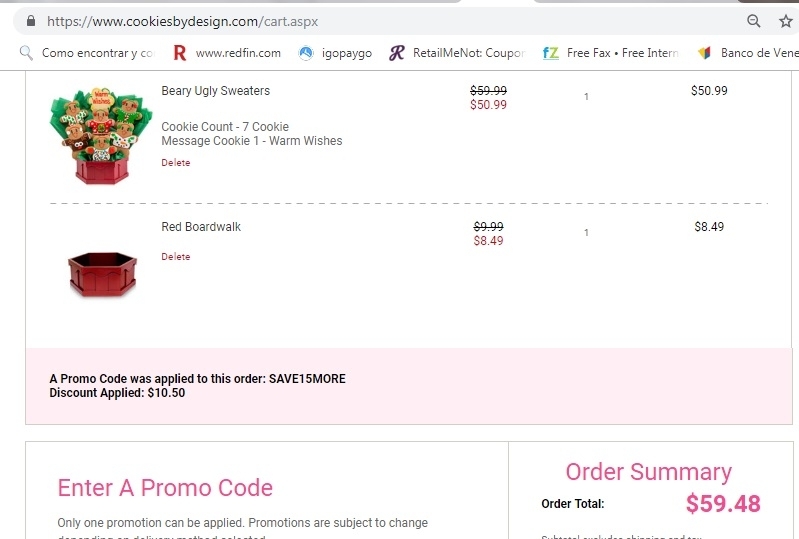 ramon olegario Use discount code SAVE15MORE to Save 15% Off Your Next Purchase, Add products to your cart and paste the code at checkout.